Ralph F. Earl Associates, Inc.
For the period encompassing the 2008 Olympic Games in China , Ralph F. Earl Associates, Inc., is prepared to provide personal briefings, reports and services on security, travel and cultural related issues and information of importance to foreign residents and travels to China. Corporations, groups and individuals will find that this information, guidance and support for their personal requirements will make their visit to the Olympic Games and China most enjoyable, safe and culturally simulating. Sources of the information provided are authoritativeand knowledgeable. Ralph Earl and members of his staff have decades of professional experience and training in the development and implementation of these personal security and safety programs. Security programs designed for specific needs and requirements of Clients. Considerations for personal security and protection of proprietary information and other assets. Use of corporate and other private aircraft in China. Required travel documentation e.g. Passport/Visa. Medical resources available and health considerations. Political system and cultural considerations. 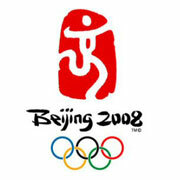 The following is an overview of unofficial, but probable Beijing traffic regulations during the Olympics. The information is still under review by Chinese officials, but a confirmed version should be forthcoming from authorities shortly. The government of Beijing will begin implementing traffic controls for the city’s 3.3 million cars during the Olympic Games beginning July 1. Starting on that date, heavy polluting vehicles (identified with yellow marks) will be restricted from travel within the city. Vehicles carrying toxic chemicals will also be restricted entirely, or may be fed onto specifically designated routes. From July 20 until September 20, personal use vehicles will be regulated based on their license plate numbers: only even numbered plates on one day, only odd numbers on the subsequent day. “Daily use” vehicles, including utility, emergency vehicles, taxis and buses that are not heavy polluters will not fall under these guidelines. All regulations will apply within the 6th ring road. During the Paralympics, these regulations will only apply within the 5th ring road. From July 25 to September 25, official Olympic lanes will be created between the airport, hotels, media locations, competition venues, and other key Olympic facilities. These lanes will be designated with signs and pavement markings on many roads throughout the city, notably including the 2nd and 4th ring roads - major arteries for traffic in Beijing. On the 3rd and 5th ring roads traffic authorities will manage traffic on an ongoing basis. Police authorities will maintain a presence on the roads to ensure that only Olympic-accredited vehicles will be allowed to utilize Olympic lanes. Olympic-accredited vehicles will utilize different parking areas around Olympic venues and facilities, depending on the type of accreditation, of which there are numerous categories and sub-categories. Passengers taking trains from Hong Kong to Beijing, Shanghai, and Guangzhou will now be subjected to x-ray checks on boarding, the South China Morning Post reported June 19. Passengers should arrive at least one hour before their departure time in order to avoid delays, a spokesman for the railroad said. Beijing’s subway stations reportedly will begin setting up checkpoints to investigate liquids carried by passengers in late June, Xinhua news reported. Special machines and police dogs will help check liquids, and passengers will be asked to drink any beverages that cannot be identified. Chinese authorities will deploy a monitoring system to detect the precise location of anyone carrying a mobile phone in the Olympic park, the South China Morning Post reported. China Electronic Technology Group designed the system, which will reportedly be used on all visitors, including VIPs and security personnel. ©2016 Ralph F. Earl Associates. All rights reserved.